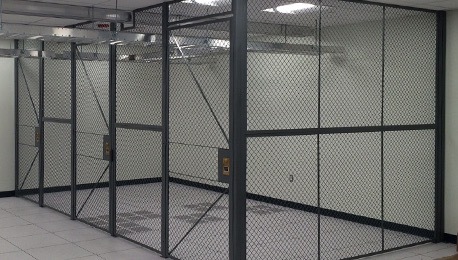 As distributors and installers of SpaceGuard wire partitions, Superior Support has been offering security and loss prevention cages to the manufacturing, telecommunications and commercial real estate industries for many years. 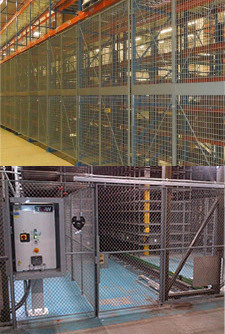 SpaceGuard‘s products can be used for tool cribs, security storage cages, tenant lockers, and many other applications. FordLogan – The brand that started it ALL – FordLogan woven wire partitions. Long-standing reputation as the industry standard, FordLogan uses a 10ga woven wire. BeastWire – Our flagship brand offers one-stop shopping for: Wire Mesh Partitions, Pallet Rack Safety Systems, Tenant Storage Lockers, Infill Panels and Window Guards. A universal design with infinite applications. Rack Safety and Security Systems – essential safety for your pallet racks and shelving. 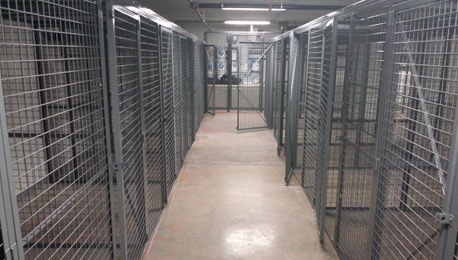 BeastWire Mesh Guarding was created to provide customers with ONE-STOP SHOPPING for Pallet Rack Safety Systems, Tenant Storage Lockers, Infill Panels, and a variety of Wire Mesh Partitions. All BeastWire systems come standard with a 10 gauge welded wire in a 2” square pattern. Optional wire types are available including a heavy-duty 6 gauge welded wire, the industry standard 10 gauge woven wire, sheet metal infill, and expanded metal (flat or standard).